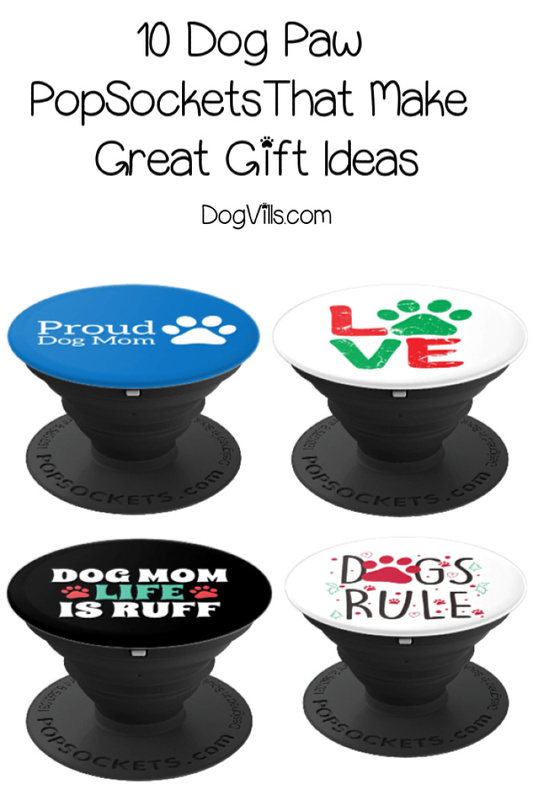 If you need some cute gift ideas for dog lovers, check out my favorite dog paw PopSockets! 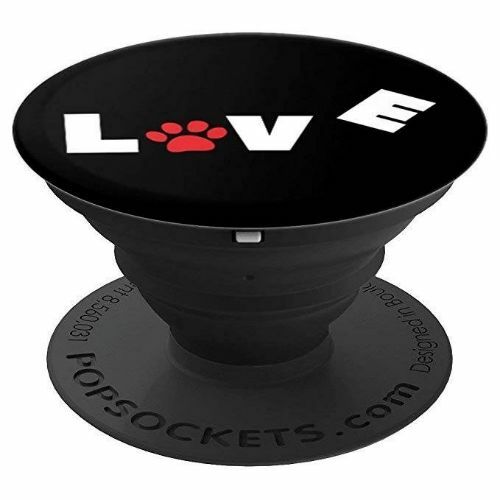 PopSockets Phone Grips are one of my favorite gifts under $20 because just about everyone loves them! Whether you want to add a little holiday fun to your own phone or find the perfect “dog mom” or “dog dad” gift, you’ll love these! Super cute and colorful dog paw PopSockets phone grip for all dog moms! Life may be ruff, but it’s a lot more bearable with our trusty canine companion by our sides! 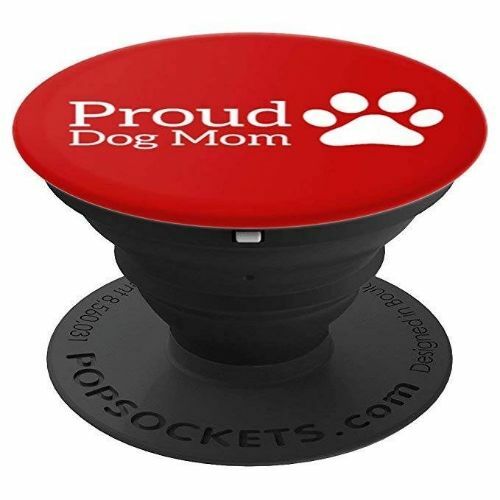 Got a proud dog mom on your gifting list? She’ll adore this fun PopSockets grip! FYI, it also comes in blue , black, and purple ! Add a little holiday cheer to your phone with this Christmas tree made up of paws! It’s perfect for both cat and dog parents. No truer words, right? 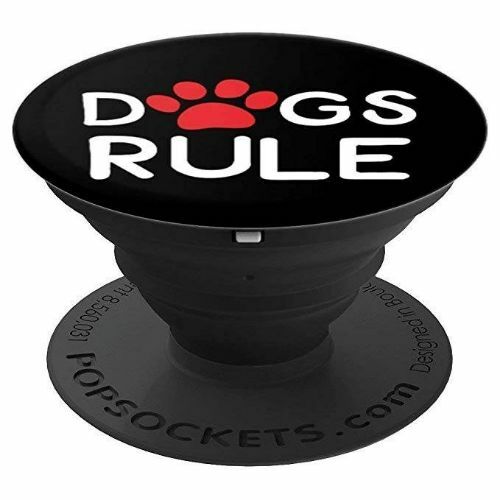 This Dogs Rule PopSockets grip has a beautiful red paw that makes your phone stand out in a crowd! 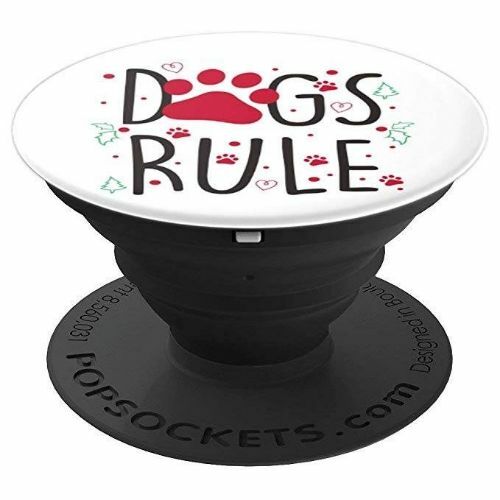 Love the Dogs Rule PopSockets, but wish it was more festive? Here you go! 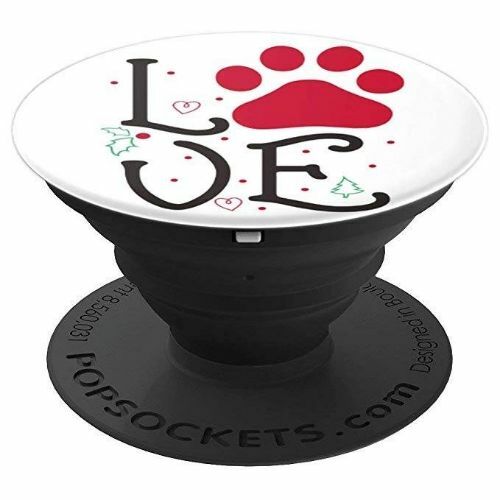 This is one of my top 5 favorite paw print PopSockets. All dog lovers have their pooches in their heart, right? 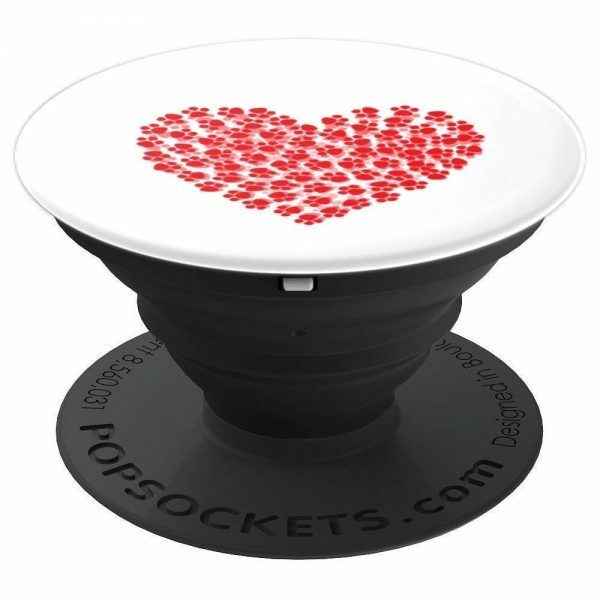 Show off your love with this sweet “love sign” PopSockets grip! I love this one (no pun intended) because it’s festive for Christmas, Valentine’s Day, and even the 4th of July! Plus I just adore the brush stroke font! One of my other all-time favorites, this one is the holiday version of our popular LOVE paw design. Isn’t it gorgeous? Another one that works perfect for both Christmas and Valentine’s Day, this pretty heart is filled to the brim with darling paw prints! It’s great for teenagers who love their pups! 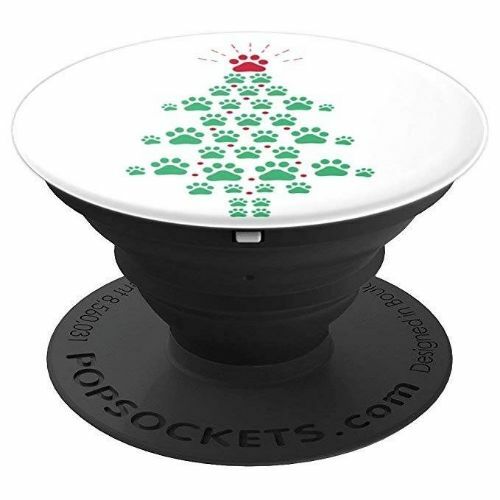 If you adore the LOVE PopSockets above, but want something that screams “tis the season” a bit louder, this is the one for you! It will bring you cheer every time you pull out your phone! 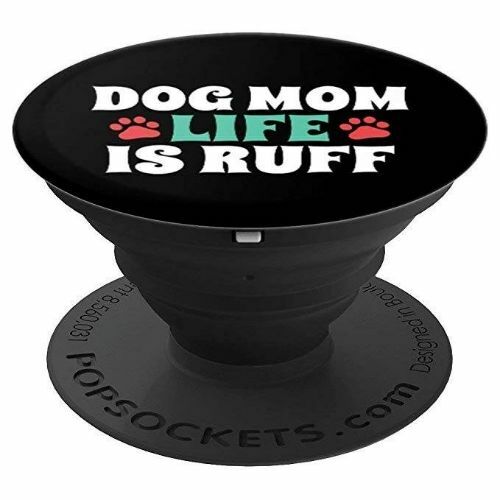 These are just 10 of my favorite dog paw PopSockets Phone Grips. 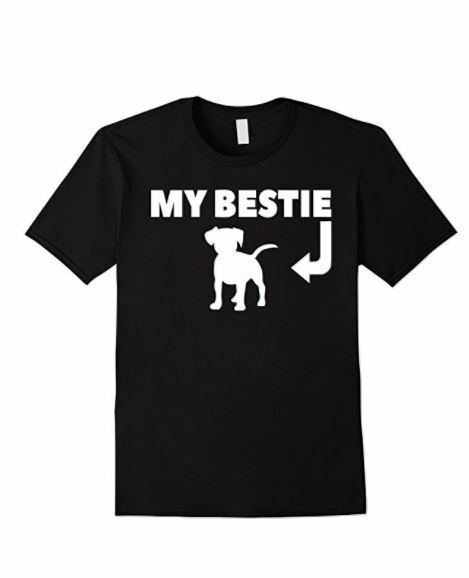 We have other fabulous designs in our Amazon shop, so check them out! 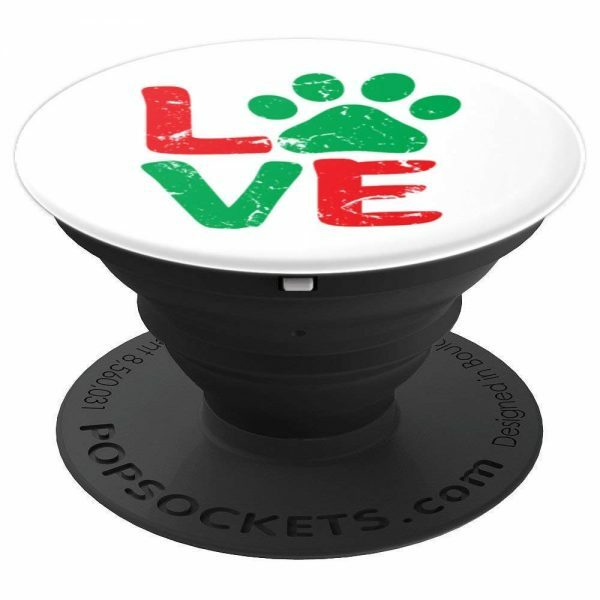 PopSockets really do make great gift ideas for everyone on your list! My teen son uses one and (knock on wood) he hasn’t dropped his phone yet! I was actually amazed by just how handy they are. I am looking forward to grabbing a few to rotate for my own phone! 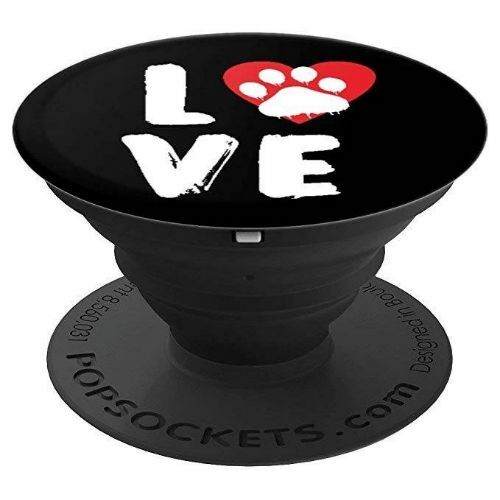 Which of these are your favorite dog paw PopSockets? Tell me below!